Poll after poll reveals that the economy remains the number-one issue on voters' minds. A recent Gallup poll found that 86 percent of Americans say the economy will be extremely or very important in determining for whom they will vote for president. According to Gallup, it was the top issue by "a significantly higher percentage than for any other issue." Clearly, there is no more important issue that candidates in either political party can address than the economy. CNBC has indicated moderators at tonight's Republican debate will ask questions about "the key issues that matter to all voters -- job growth, taxes, technology, retirement and the health of our national economy." The good news is that Republican candidates have developed and released a multitude of serious policy proposals that address the anxieties of America's working families and promote greater opportunities for all Americans. Tonight, they should be prepared to discuss their serious solutions. How do we develop an environment where startups and entrepreneurship can thrive? In the Conservative Reform Network's "Room To Grow" series, Jim Pethokoukis observes that business shutdowns outpace startups. "Less entrepreneurship," Pethokoukis writes, "means a less dynamic economy -- less growth, fewer jobs, and fewer breakthrough technologies." Pethokoukis contributes the unfriendly environment for startups and entrepreneurship, in part, to taxes and regulations. To promote entrepreneurship and startups, Pethokoukis advocates tax and regulatory reform to provide greater simplicity and certainty. Former Florida Governor Jeb Bush has offered a regulatory reform plan that addresses many of the issues Pethokoukis discusses in the "Room To Grow" series. Bush believes we must "cut excessive federal red tape and unleash the entrepreneurial spirit in our nation." His proposal would require regulators to identify offsets for every dollar regulations cost and would enhance presidential and congressional control over regulations. What are your ideas for improving America's higher education system? One of the keys to greater economic growth is to ensure that the U.S. has a well-educated and highly skilled workforce. In CRN's "Room To Grow", higher education scholar Andrew P. Kelly identifies issues that hold back America's post-secondary education system. For example, out-of-control tuition prices, fueled by easy money from the federal government, contribute to alumni leaving college with tens of thousands of dollars in student debt. Kelly proposes reforming loan repayment programs, allowing for innovation and options in higher education financing, and expanding other paths to the middle class, including career and technical education. New Jersey Governor Chris Christie has unveiled a 15-point education reform agenda that includes some of Kelly's ideas in "Room To Grow". For example, Christie proposes new, innovative methods for financing higher education, greater transparency in how colleges spend their money, and expanding apprenticeships and training programs. How can we responsibly provide paid family leave without costing jobs? Carrie Lukas, a "Room To Grow" contributor and managing director of the Independent Women's Forum, reminds us that all parents face unique challenges and have unique solutions to address them. 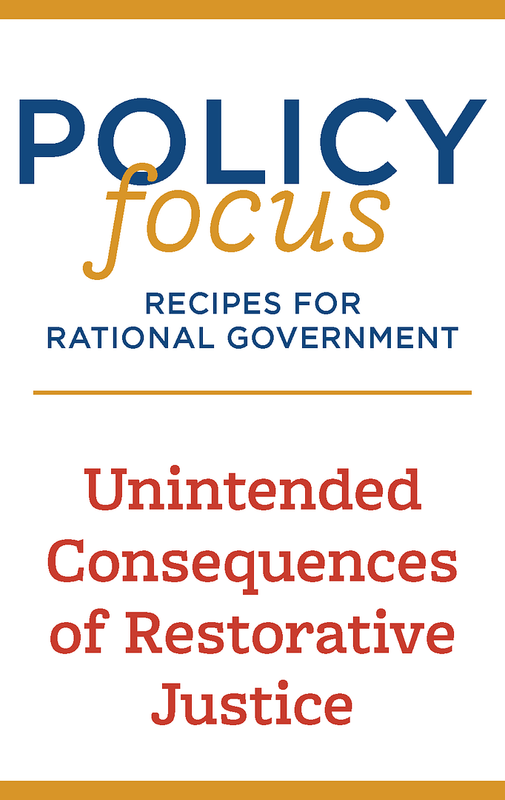 "Policymakers therefore ought to be cautious," Lukas writes, "in pushing one-size-fits-all government mandates or creating programs and policies that favor one set of choices over another." In late September, Sen. Marco Rubio (R-Fla.) released a proposal to expand access to paid family leave. "Our policies should help workers, not cost them their jobs," Rubio says. Unlike liberals' plans for a top-down, Washington mandate, Rubio's plan would help workers by giving businesses a 25 percent tax credit for offering employees at least four weeks of paid family leave, limited to twelve weeks of leave each year. These are but three of the many questions moderators could ask of Republican candidates tonight. If Quintanilla, Quick, and Harwood want more, we hope they will consult CRN's "Room To Grow" projects, which offer conservative, practical solutions to the challenges facing America's middle class. This election should be about solving the problems our nation faces, particularly those that have been neglected for the last seven years. Our next president must have a substantive agenda and be prepared to begin implementing it on the day he or she is elected. Tonight's CNBC debate offers Republicans the opportunity for a robust discussion about his or her serious agenda to expand and strengthen America's middle class and to provide greater opportunities to all Americans.